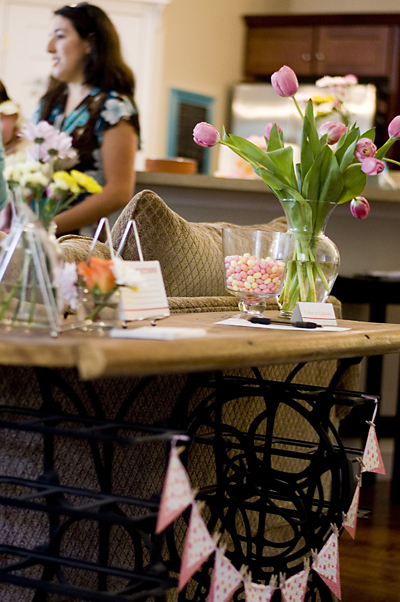 I hosted another baby shower at my home in March. 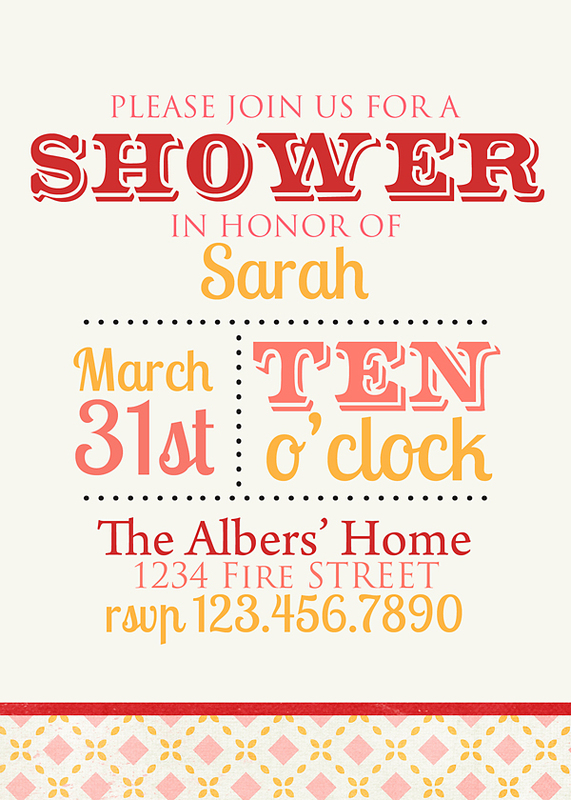 You guys know how much I love baby showers and how much I love incorporating digital scrapbooking into them. My friends planned and cooked all the food and that left me with the invites and decorations. Yay! That's my favorite part. We didn't have a specific theme for the party. We just knew that it was going to be a baby girl. 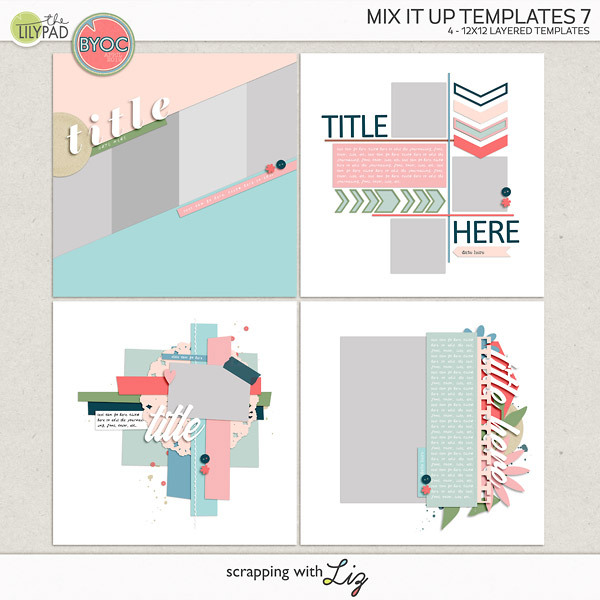 So I went to my local digital scrapbook store, Scrap Orchard, for some inspiration. 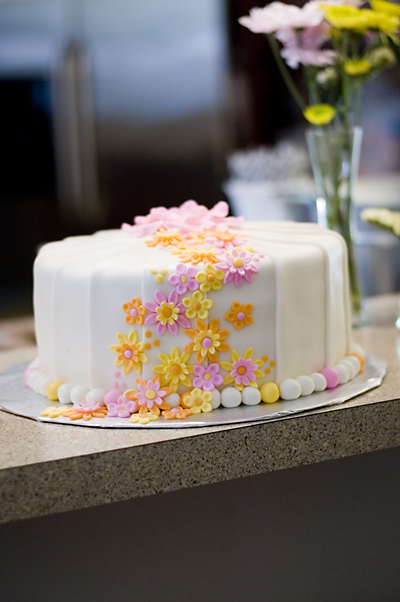 ;) I found this kit from Tracie Stroud and I loved the colors.....I especially love her designs for party inspiration. If you don't believe me, then check out this post. So I grabbed this kit and started with my invitation. 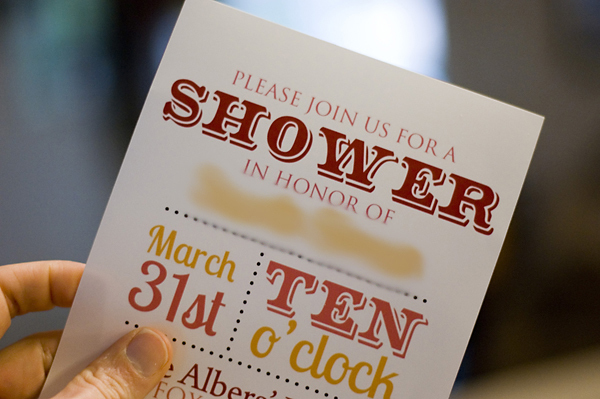 Here's my 5x7 invite (with edited text). I used a few different fonts that I had and I grabbed the colors from the kit and used some paper at the bottom of the invite. Here's the printed invite. I used Persnickety Prints. I love that you can get envelopes with your prints. 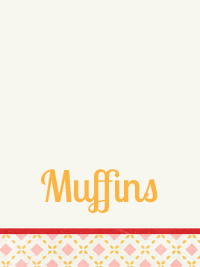 I also made up these little 4x6 printables. 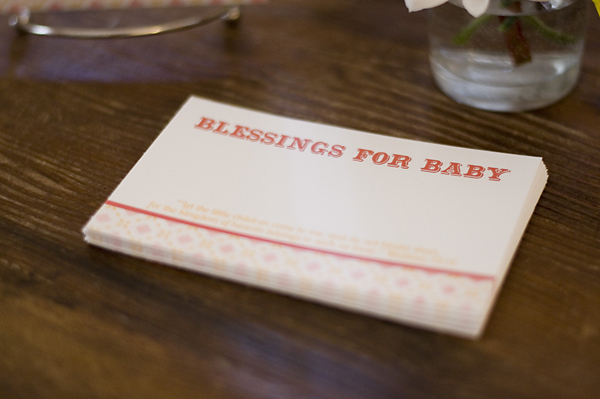 I thought it would be fun to have some cards that guests could fill out with either a prayer or a word of encouragement for the mom and baby. Not the best photo but you get the picture. 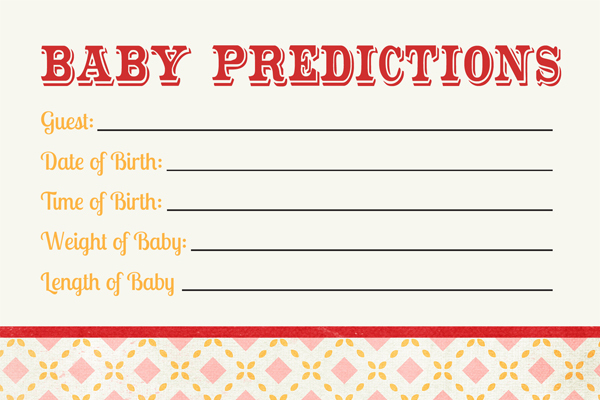 And then I made these baby prediction cards. 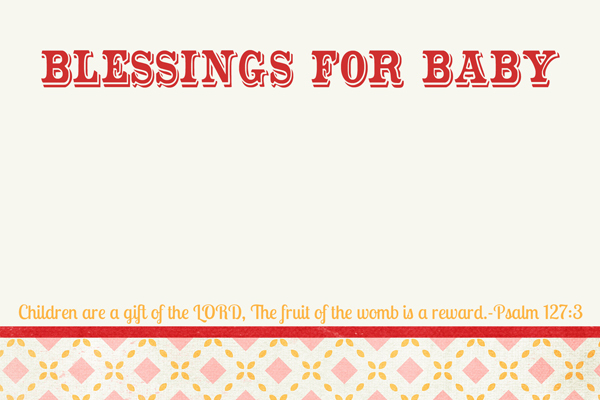 I found this idea on Pinterest and just made one up to match the invite and blessing cards. 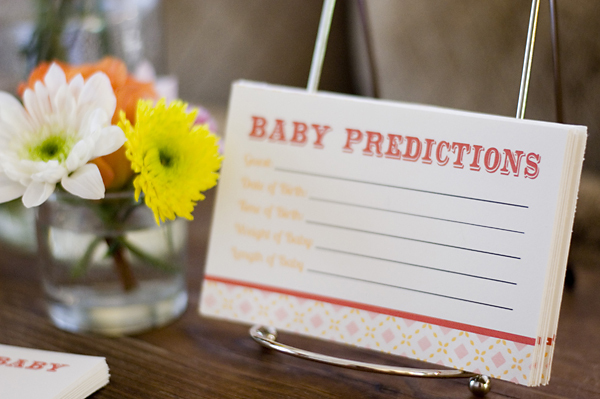 I printed both the baby predictions and blessing cards out on my home printer. 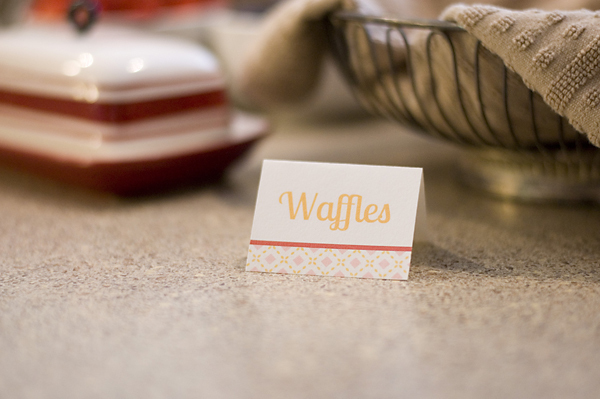 Then I made these little 3x4 inch food tags. I made a whole bunch of tags, put them all on one 8.5x11 sheet in Photoshop and then printed that sheet out on my home printer. Then I cut them out and folded them in half, easy-peasy (my kind of hybrid). 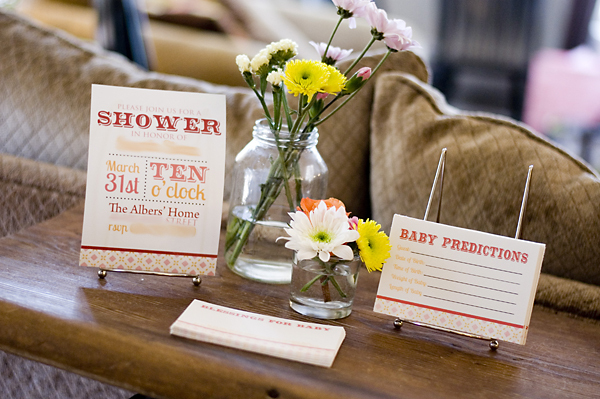 Here are a few more photos from the shower. The little table with all the cards on them. You can see the little banner I made below. I used my Mini Hybrid Banner Templates to make it. Since it was spring I got some fresh flowers that matched the invitations and put them in different sized jars all over the house. 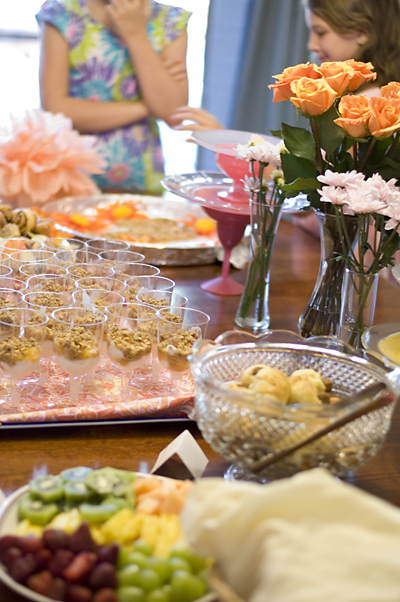 Thanks to Nicole for coordinating all the food and for all the friends who helped prepare it. 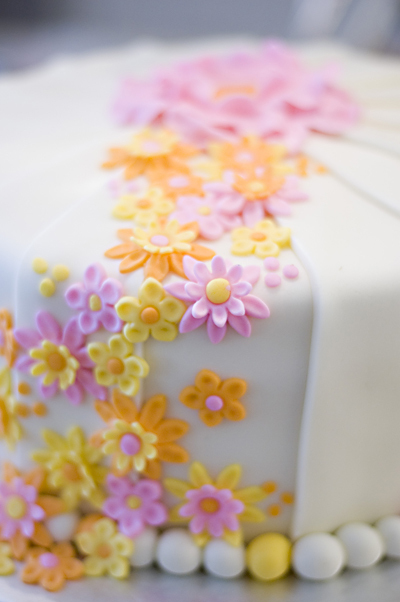 And a big thank you to my sister Amanda for making a beautiful cake. If you are in the Western North Carolina area you should check her out. 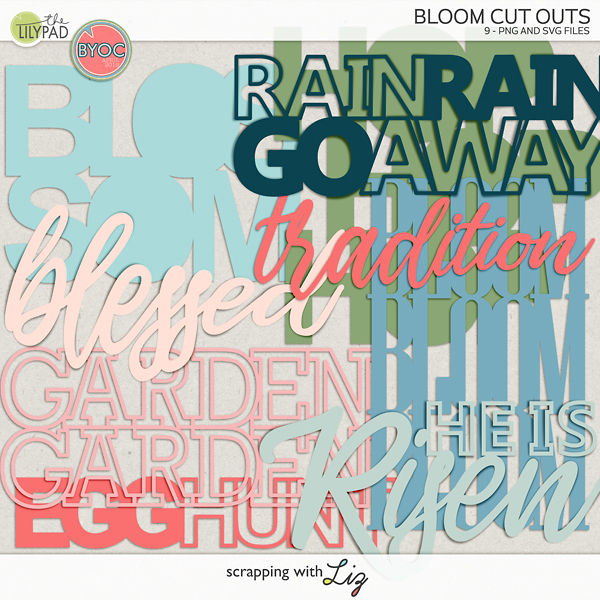 I'm sure you can find some inspiration for a party from one of your digital scrapbook kits!